Forerunner 310XT has been specifically designed for professional athletes and sporting enthusiasts who want to monitor their performance during swims and other water sports. The capacity to resist water up to fifty meters (164 ft) make it the most indispensable training instrumental for triathletes. Despite its sleek design and flexible wristband, Forerunner 310XT is a very sturdy GPS with extended battery life of 20 hours. You can wear this training watch while swimming in a pool or lake and track your swim performance. 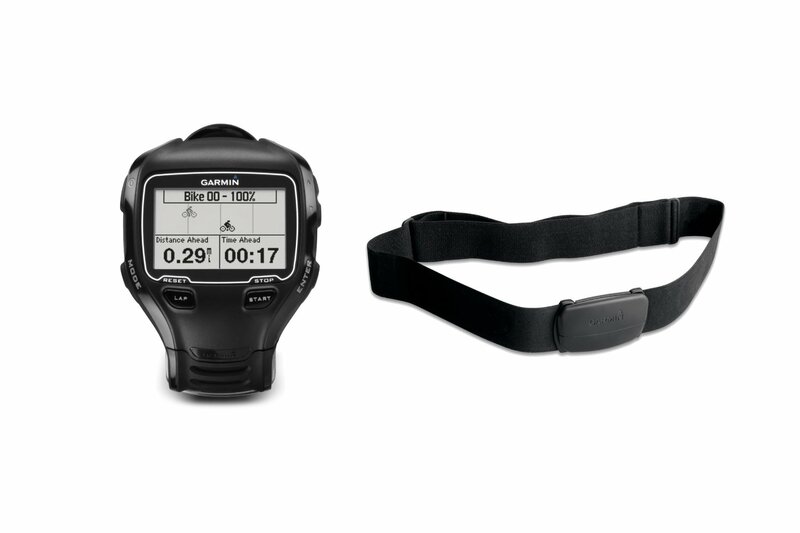 This multisport device can instantly change its gears to shift from swim to land or bike mode and use GPS to record total distance, current pace, heart rate and other performance data. Just like our other premium sport watches, it wirelessly connects to your computer to upload performance data to Garmin Connect. The unique swim mode of Forerunner 310XT allows you to track the time of your swim in a pool or lake. Although, the GPS signal is not supposed to track total distance while swimming, we updated our software to precisely measure your swim distance and average speed. You have to just enable the swim mode of your 310XT, and it starts tracking your swim with the press of the start button. Once you reach the finishing point and press the lap button, Forerunner 310XT displays the estimated distance of your swim and average speed by processing time and GPS data of your swimming. 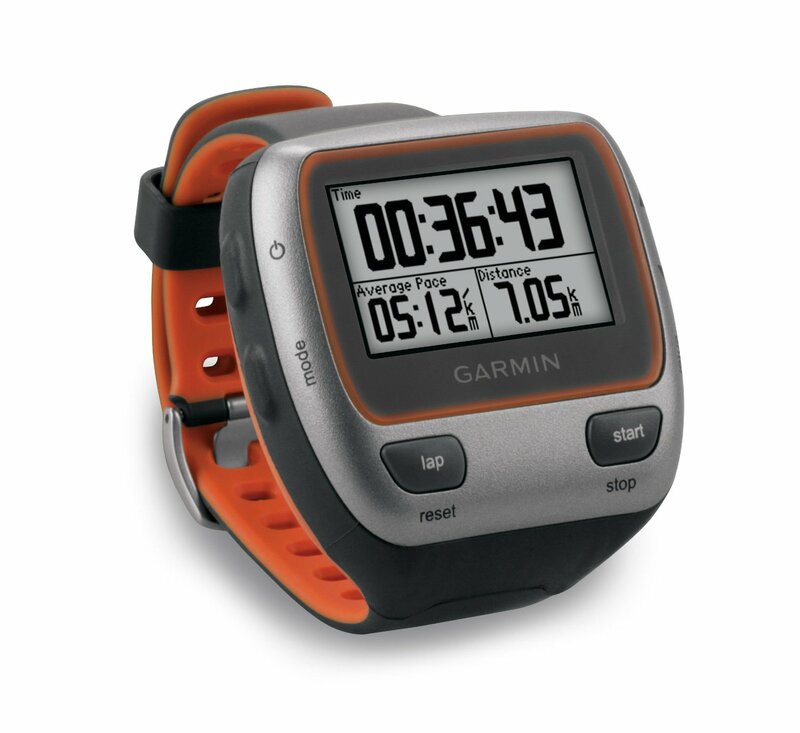 Garmin Forerunner 310XT features effortless transition between the run, swim and bike modes. In fact, 310XT has been designed for multisport activities and therefore, you can track your performance during different activities of the workout, and even log the transition time between these activities to analyze your overall performance. The optional quick release and bike mounts provide hassle-free shifting from wrist to bike. Forerunner 310XT features the most sophisticated technologies available in our premium GPS Enabled sport watches. Your Forerunner 310XT empowers you to track any performance variable like total distance, current pace and heart rate. You can also record power data and several other performance dynamics by using third party power meters or other ANT+™ compatible instruments. Forerunner 310XT incorporates our innovative ANT+ wireless technology that facilitates seamless pairing with optional instruments like cadence sensor, foot pod and heart-rate monitor. 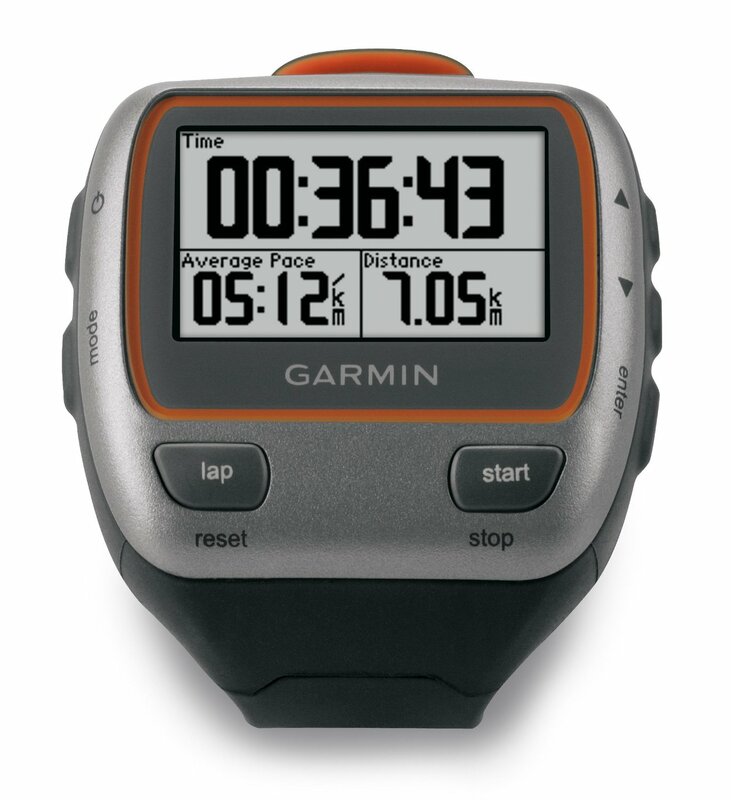 These optional instruments add value to your GPS training watch. For example, the optional heart-rate monitor bundle allows you to monitor your heart rate in beats per minute and provides estimated consumption of calories during your workout. The heart rate zones on our heart-rate monitor can be very useful for improving your performance and exercising within your comfortable zone. However, heart rate monitoring is not available during swimming. Only soft strap heart-rate monitor accessory is water resistant, but even these waterproof heart rate monitoring accessories stop tracking, storing or communicating heart rate data to the watch while you are in the water. Forerunner 310XT also features HotFix® satellite prediction technology and high-sensitivity GPS receiver to ensure that your sport watch is quickly locked to the satellite signals, and you are not bothered by the tree cover or tall buildings during your run. Forerunner 310XT also provides health monitoring features. In combination with Tanita BC-1000 body composition scale, your forerunner 310XT can provide measurements for weight, body fat, body water and six other useful health measurements. These health readings are stored on your Forerunner 310XT and uploaded to Garmin Connect when in range of your computer. Once you have tracked your performance during the workout, our innovative ANT+ wireless technology ensures seamless uploading of your performance data to Garmin Connect for more detailed analysis, planning and sharing with the community. Forerunner 310XT completely eliminates the need to use cables or hookups for connecting the device to your computer. It automatically connects and uploads the data to Garmin Connect when your computer is in range. You get free access to our social media platform where you can analyze, categorize, plan and share your performance data with the community. You can also plan your workouts on your computer and send it to your 310XT or use our optional Garmin Training Center software. And our premium heart-rate monitor is also included with some models. Garmin Connect is compatible with Windows® XP or newer and PowerPC and Intel-based Mac running OS 10.4 or later with Safari. This entry was posted in Garmin GPS Running Watch, Running Gear Buying Guide and tagged Forerunner 310XT, Garmin, Garmin Forerunner 310XT.